It can certainly be said that the loss both Pasadena and Los Angeles volleyball players are feeling is Brooklyn’s gain. 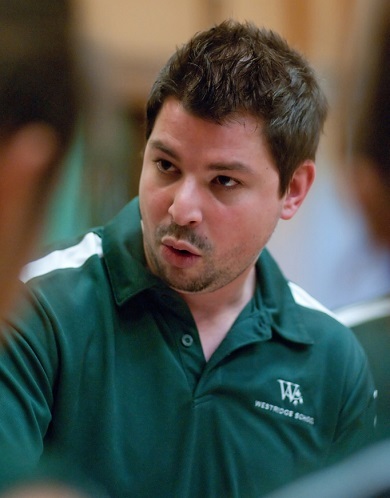 Otto Lacayo, the 33-year old head volleyball coach at Westridge School since 2010, and a member of the staff at San Gabriel Elite since he was 17, will begin a new journey on December 4, when he builds his own academy in Brooklyn, New York. Lacayo just finished his last day as the assistant director at SG Elite and has watched it grow over the years from 15 teams to its now 60 teams. It also boasts a lineup of some 500 players, and of both genders. 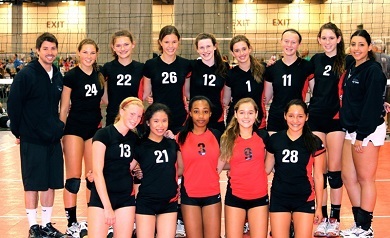 They range in age from 8-19, and they’ve produced big-time Division 1 athletes. In club ball alone, Lacayo has coached boys and girls teams from California in at least 15 states and he’s known to put in 14-hour days/nights, if not longer. During ‘club season’ (December-June), Lacayo worked seven days a week. 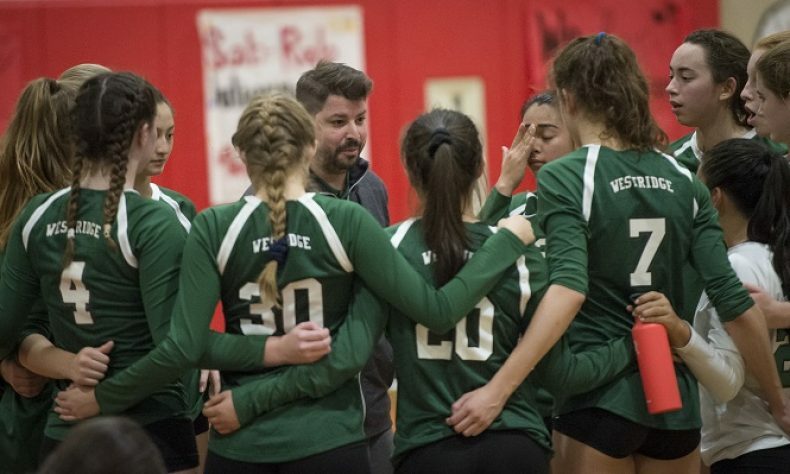 Lacayo, the 2016 Pasadena Sports Now Girls Volleyball Coach of the Year is leaving both the club and Westridge in a much better place than he found it. At Westridge, the Tigers just wrapped up their second consecutive Prep League championship, and it made the CIF-SS semifinal round in back to back years, and despite being moved up to Division 3 this season. The Tigers only lost two matches all year that were of the regulation 3-of-5-set format. Their undefeated Prep League run this year was the school’s first outright league title since 2006, but things weren’t always so rosy. When he took over the reigns in 2010, Lacayo recalls 40 girls showing up on campus for the first day or tryouts. He wanted to establish early on that anyone who played for him and the school was going to have to work their butts off every day. On the second day, nearly 75-percent of the players who came out the night before stayed home and Lacayo wasn’t quite sure what he had gotten himself into. That season, the Tigers didn’t win a single match. 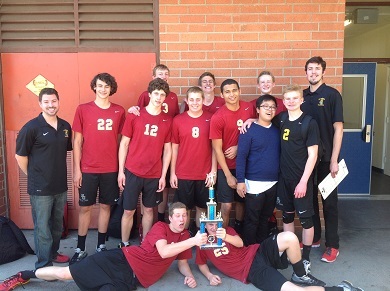 But thanks to the support of athletic director Melanie Horn and players Meghan McPhee, Sasha Vasquez, Michelle Aguirre, Natalie Martinez, Talleen Mitchell, Angelica Raymundo, Quincy Foster, Cheyenne Dobine, Stephanie Davis, Carmen Costa, Makana Meyer, Allison Martinez and Cate Hurley, Westridge became a volleyball power. Lacayo said he is sure he is forgetting someone’s name as this interview took place the night before Thanksgiving, and he wanted all his coaches and players to know that he not only appreciates their efforts, he considers them all family. And despite the many headaches and drama that come with coaching at the club or high school level, Lacayo wouldn’t trade these experiences for anything. His passion for his athletes resonates in the desire to make them as marketable as possible so college programs come after them and not vice versa. More importantly, though, he cares about his student-athletes off the court and in the classroom even more than anything they produce in a gymnasium. Lacayo went on a trip with Ben Diaz, the head coach of Notre Dame of Sherman Oaks to Brooklyn a couple months back. Diaz was interviewing for and accepted the job at Poly Prep Country Day in Brooklyn, a school that prepares students for Ivy League colleges. On that same trip, former Harvard-Westlake athletic director Audrius Barzdukas, convinced Lacayo to start his own academy at Poly Prep. As hard as it was to make the decision to leave his jobs at Westridge and San Gabriel Elite, and to leave his friends, family and players behind in California, Lacayo couldn’t turn down the opportunity of a lifetime, and the challenge to build something on his own. In between the CIF-SS and CIF State playoffs at Westridge, Lacayo has been back and forth a number of times to New York to get things started, and so far, the turnout has been even better than expected. He and Barzdukas have agreed it will take five years or so to get a program established, and at a level they both would be proud of. Both men know patience will be key to their success, and both have track records of making things and people around them better. Looking back over his eight years as head coach at Westridge, he has so many fond memories of players and individual greatness. There were also the collective efforts that mean even more to Lacayo. Whether it was Stephanie Davis blocking Lexi Sun, or a third-place showing at the Infiniti Tournament in San Diego last year. Whether it was earning a share of the Prep League title in 2016 or the 12-0 run to win the league championship outright in 2017. Or whether it was watching seniors Allison Martinez, Makana Meyer and Eryn Boken lead his program to the highest level of play and expectations, he has nothing but happy memories of Westridge and those at the school that made his and their success possible. The respect among his coaching peers is universal and his players will tell you he’s someone who will put you first, and himself last. For this reporter, as sad as I am to see a coach/person that I’ve gotten to know well over the past two years and become good friends with leave, I am even more happy that he’s able to pursue a dream that he is oh-so qualified to succeed at. New York, you are getting a very good coach, and an even better man.